Time to Overhaul Your Hiring Process? The Candidate Experience-Does Your Company Need an Overhaul? Finding talent has become increasingly more challenging. You should always make a practice of providing a positive candidate experience but now more than ever this could significantly impact your organization’s ability to meet its growth goals and financial objectives. With the vast amount of information available the candidate’s experience with your companies hiring process is very transparent. The candidate experience begins long before someone applies for a position with your organization. Some candidates will not apply until they have had a preliminary conversation, then they will determine whether they want to move forward with a more formal introduction. Your company’s reputation for how it treats applicants could be hurting your chances of receiving the rock stars we are all seeking. Your employment brand-what are others saying about you? 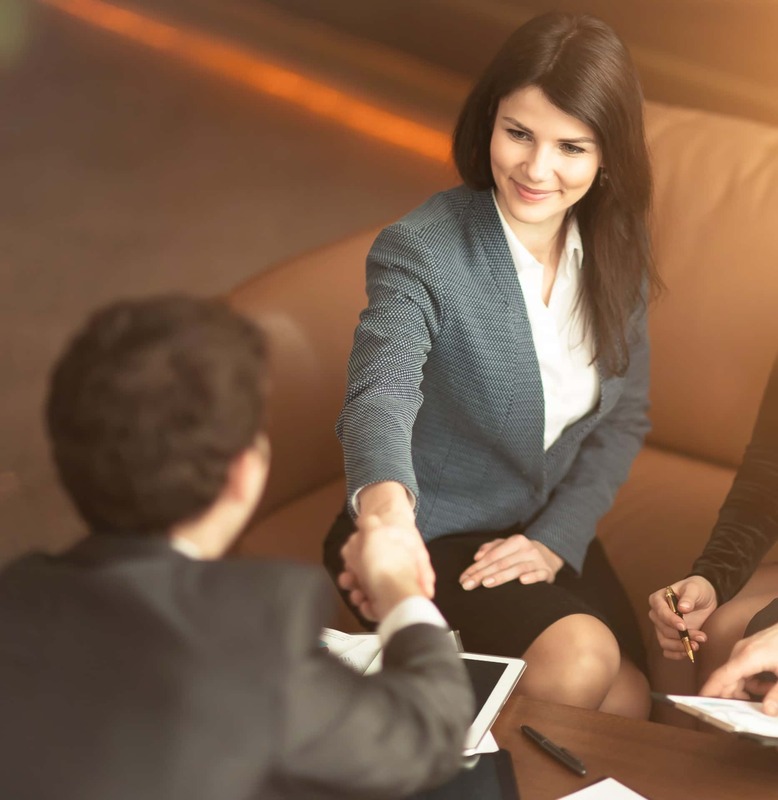 When a candidate is considering applying for your position they will typically ask their business connections for input. They may elect not to apply based upon what they hear. Companies need to be mindful of their employment brand and reputation in the market. It’s not just what can be gleaned from sites like Glass Door, it’s your underlying reputation and how others perceive your organization. Perception can become reality and if someone hears negative comments from a few sources they may elect to avoid your organization all together. Be proactive and consistently work on improving and elevating your employment brand. Get out and network, market your organization, make everyone in the company a participant in this effort, create curiosity, get people excited about what you are doing as a business. You can often measure this by the number of individuals who approach your organization even when no specific opening exists.Make people want to work for you. Your website-do you have a careers tab, is it easy to locate, is it engaging to individuals considering applying for a role with your company? Does the information help candidates learn more about the culture and working environment or is it just a place to post open positions and list your benefits. Consider highlighting things about your organization that resonate with people both personally and professionally such as your community service, sustainable practices, education reimbursement and training programs and opportunities to promote or take on stretch assignments and projects. I see many websites where the careers tab is at the bottom of the landing page or embedded within another tab and not easy to locate. Your advertising or job posting-don’t cut and paste a generic job description without adding some insight around the role and your organization. A posting should contain some backstory and flavor that gets people excited about your company and the open position. It should definitely convey details about the position and the qualifications you are seeking but there needs to be something there that makes the opening specific and unique to performing the job duties at your company verses any company with the same function. Your Application (online)-is it easy to navigate, can someone quickly complete the online application or do they need to spend time answering pre-qualifying questions that are not appropriate until a candidate has been invited to interview. Don’t make this process so arduous that a candidate aborts mid-stream out of pure frustration. Yes this really happens and more often than you think. Make this process as easy as possible. Remember that a resume is sent to provide a frame of reference, a live conversation will provide much more insight. If you ask for a resume in email that’s fine but in some cases the lack of automation can also be a turnoff for some candidates. Redundancy between the application fields and the resume is also another frustration for candidates. Your mechanism for responding-most companies send out an automatic reply and candidates never hear or understand why they were not contacted. Or they receive no reply at all. So after spending time completing your on-line application and answering all your pre-qualifying questions they never receive any acknowledgement from the employer. Even if someone is not right for the role they might be appropriate for something else in the future. This is certainly where damage can occur with your employment brand that you may never become aware of until you experience a lack of response to filling critical roles. Your Interview Process-some companies conduct a preliminary phone screen. In a larger company this is might be done by someone more junior within HR or Talent Acquisition. There is often no appointment scheduled for this call, which is poor form. In addition, there is very little selling that occurs with a potential candidate during this short 15-20 minute interaction.This is often a candidate’s first live experience with your organization and can have a significant impact. If you are filling critical roles requiring a highly skilled in demand set of competencies you may want to consider how you conduct your phone screen and who you elect to manage this part of the process.In addition make sure your process is thorough but not drawn out over weeks and weeks with no communication in between meetings. Don’t cancel and reschedule several times and certainly not at the last minute, if an emergency comes up try and get someone else to hold the meeting or conduct the call. Respect the candidates time.Educate candidates on the time line and steps so they know what to expect. Ask them if this works within their timeframe. Provide feedback with each step. If someone takes the time to come in and meet with you they certainly should be made aware of where they stand. If you are excited about someone tell them. The actual interviews-make candidates feel welcome, be prepared and not distracted, allow candidates to ask questions, smile, and be warm and engaging even if you determine during the conversation that you are not interested. Candidates are a great source for referrals. They may decide the role is not right but then suggest someone they know who would be more appropriate because they value how you treated them and want to help. Your offer-put this in writing and be thorough. You can always let someone know verbally and then follow up with a well written, detailed offer letter that also provides a reasonable timeline (48-72 hours) for a response. Be available to ask questions and open to negotiation, flexibility is important and will also give candidates insight into how you and your company will manage future negotiations when they become your employee.